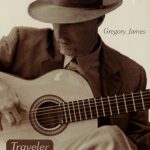 Gregory James’ musical projects are many and diverse. Click here to see Gregory’s history, musings, music and projects. I made Gregory a Flamenco Blanca instrument as well as a Flamenco Negra. 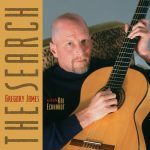 As much as Greg enjoys exploring modern sounds and instruments, his request for these two were very traditional flamenco guitars in the style of Santos Hernandez. You can hear both of them on recordings found on his discography here. Gregory plays with Kai Eckhardt who is now playing a bass made by one of my apprentices, Parizad Hatcher at PHD Bass guitars.